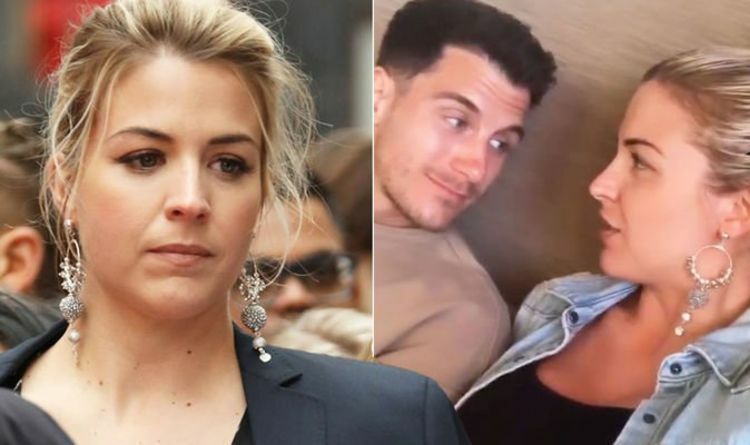 Gemma Atkinson, 34, shared a picture of her and her beloved pooch Norman to mark his seventh birthday earlier this week. The former Strictly Come Dancing star shared various cute snaps of her and Gorka with her dog, but took the opportunity to hit back at “negative” remarks about their future home life. In view of her 949,000 followers, she wrote: “Happy 7th Birthday Norman! Thank you for being the best companion I could ask for. “Always making me feel happy and loved and expecting only love in return. “You and Ollie mean so much to me (and if 1 more negative Nancy tells me you’ll have to be “cast aside” when our baby comes I’ll have to just t**t them!) We’re a pack. Many of her fans flocked to her post to comment on the adorable offering. Elsewhere, the loved-up pair are currently enjoying a pregnancy-moon together in Tenerife. Gemma took to her Instagram story earlier today to give a review on her first mums-to-be massage. Sitting alongside Gorka, she told fans she had been apprehensive about having the treatment done, but admitted the process was “nice”. Gorka also shared a video of Gemma singing along to Madonna’s Material Girl while she drove a car. He commented: “Living her best life,” followed by crying with laughter emojis. Gemma and Gorka announced they are expecting their first child together last month. The blonde beauty shared a picture of her dogs Ollie and Normal with a sign saying they are set to be big brothers. Earlier this month, Gorka’s pal Ore Oduba revealed the former had asked him for tips on fatherhood. Privacy: A hole in the virtual medicine cabinet As Thailand Prepares to Vote, the Likely Winner Is Clear. But the Aftermath Isn’t.